Vinimay assists these boys with free or subsidized living accommodation, job placements, medical assistance, housing loans, higher education and help in personal crises. The objective is to groom the youth into well adjusted, mature, economically independent citizen; eliminate social/psychological handicaps, develop positive personality, and uplift them above subcritical economic level. The first phase of Tarun Sadan, constructed at a cost of Rs. 30 lakhs was inaugurated in May, 1999. Care, supervision and guidance by residential superintendent. Simple facilities including stay, food, clothing, medical aid. Subsidized charges based on the salary earned by the hostellers. Academic & technical education to improve earning capacity. Guidance for interaction with community. Counseling & grooming for emotional maturity and stability. Family-like atmosphere giving the youth a sense of belonging. Average period of stay: 3 to 4 years. Each boy admitted to Tarun Sadan is given a kit consisting of essential clothing and other materials. 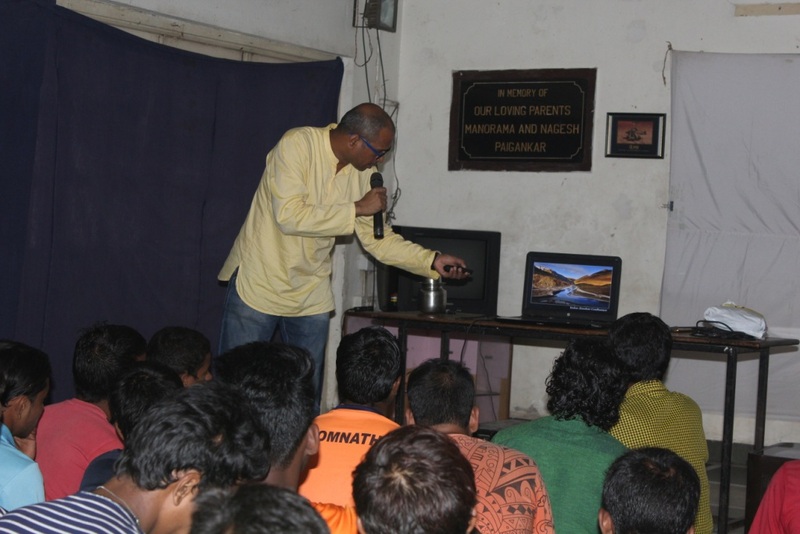 Boys are given simple and tasty food prepared within Tarun Sadan. The quantity is unlimited, considering the age and the energy spent in travel and work. Two part time cooks prepare the food at Tarun sadan kitchen with the help of boys. 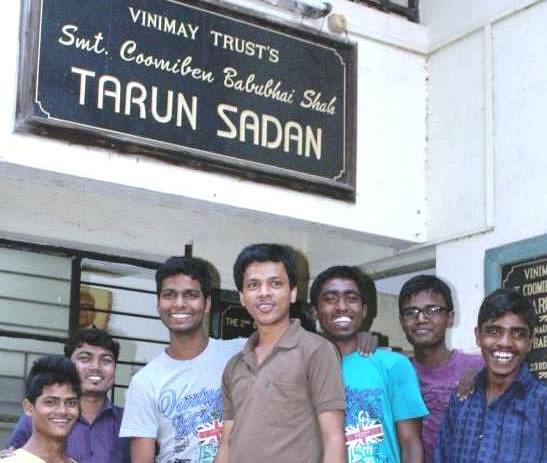 Two resident managers supervise the activities of Tarun Sadan as well as provide a very effective link between the boys and Vinimay Volunteers. 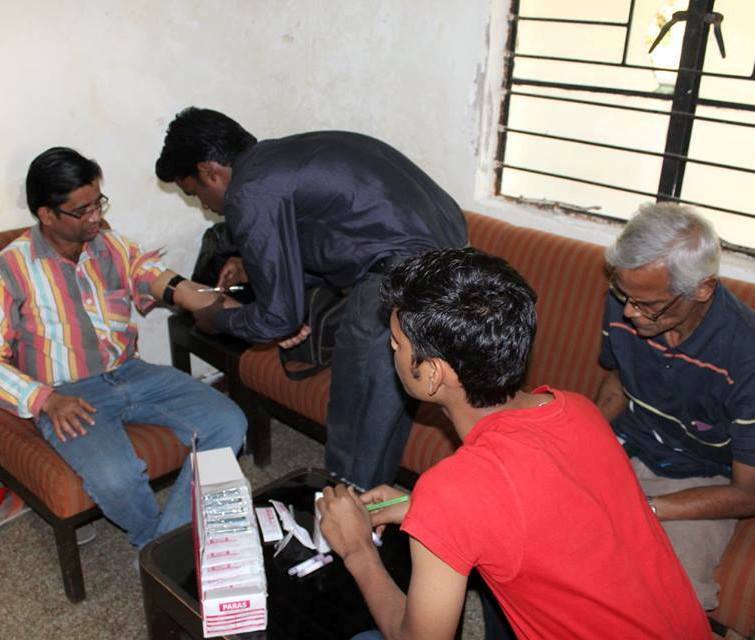 Boys admitted to Tarun Sadan are given free medical checkup, including blood test, chest X-ray, etc. Medical insurance is taken for each boy and Vinimay pays for any medical expenditure incurred by the boys. An annual programme is also conducted to provide a platform for the boys to show their talents and share their experience with other boys.